When you stay at Hotel Seril 1 in Fethiye, you'll be near the beach, just steps from Calis Beach and a 2-minute drive from Sultan's Aquapark. This hotel is 11 mi (17.8 km) from Oludeniz Beach and 15.6 mi (25 km) from Gocek Marina. Make yourself at home in one of the 24 air-conditioned rooms featuring LED televisions. Rooms have private balconies or patios. Satellite television is provided for your entertainment. Private bathrooms with showers feature complimentary toiletries and hair dryers. Take in the views from a garden and make use of amenities such as concierge services. At Hotel Seril 1, enjoy a satisfying meal at the restaurant. Wrap up your day with a drink at the bar/lounge. Buffet breakfasts are available daily from 8 AM to 10 AM for a fee. The hotel offers a restaurant. A bar/lounge is on site where guests can unwind with a drink. 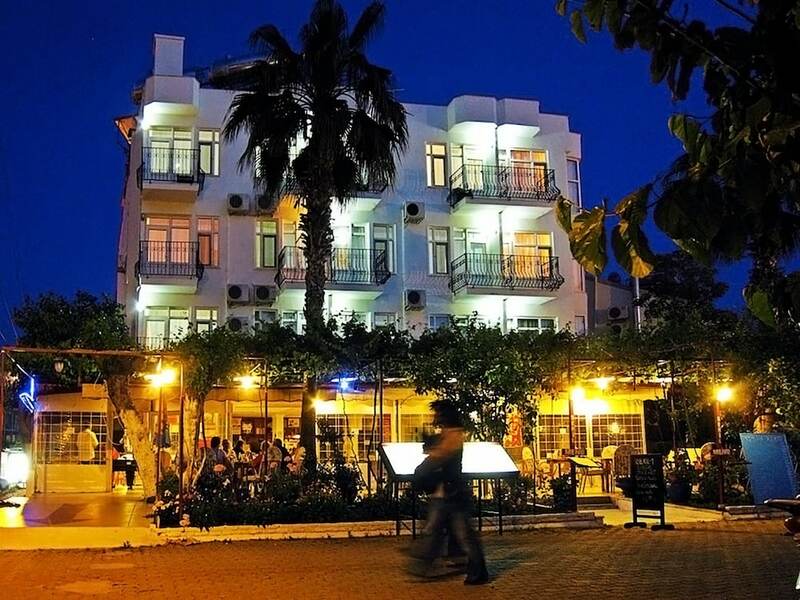 This Fethiye hotel also offers multilingual staff, a garden, and concierge services. Hotel Seril 1 is a smoke-free property. Buffet breakfasts are available for a surcharge and are served each morning between 8 AM and 10 AM.